Sonic Lost World, for all its failings, was an interesting Wii U game that signals a potential return to glory for the hedgehog. When we published our Sonic Lost World review earlier this fall, and one of our chief complaints was the fact that Sega decided to go the route of Sonic Colors and make rings virtually worthless. 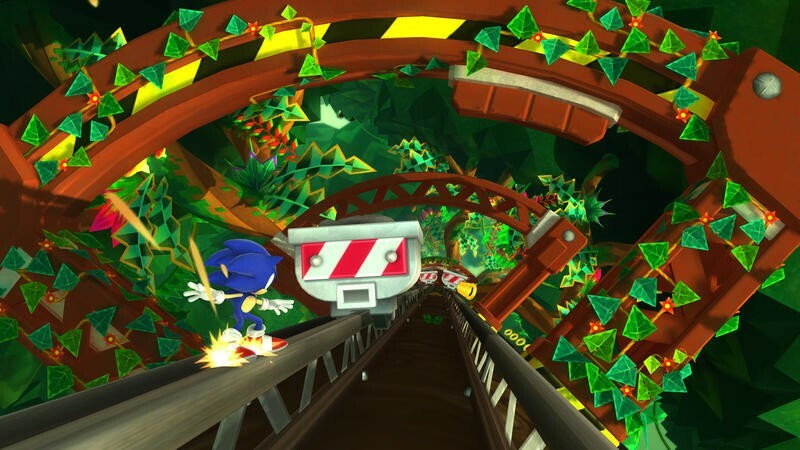 Even in the face of the tough difficulty of the game, collecting 100 Rings didn't do anything in Sonic Lost World. Extra lives were only earned if found in the levels or on the game's map. That meant tangling with bosses and exploring levels for the first time came with a lot of game overs and continues. We complained about this in our review, just as many critics did. Here's that chunk of our review. I'm all for challenging games, as long as the game rewards you for good play with extra cushion. Just like in Sonic Colors, extra lives are no longer earned by collecting 100 rings. So, you'll get to each boss fight with less than five lives, then struggle with jumping and attacking in order to conquer the moment. More often than not, I wound up losing my remaining lives fast, hitting the Game Over screen and starting the level again. Difficulty is great. Challenge is awesome. These things are a hallmark of gaming when the toughness stems from the level design, the ways bosses attack or the brutality of platforming in the game. When difficulty is born from sloppy and imprecise jump mechanics, that's when things get bad. If Sega can tweak Sonic's precision, litter the world with more extra lives and make boss battles less infuriating, games like Sonic Lost World can be amazing. • The Indigo Asteroid, Crimson Eagle, Orange Rocket, and Black Bomb Color Powers can now be controlled using the analog stick and buttons. • Fixed a rare graphical issue that would sometimes appear during the pinball section of the Frozen Factory casino area. Good news all around, friends. Now that it's soon to get a little less frustrating, we can throw a heartier recommendation at Sonic Lost World for the Wii U. Not the 3DS version, though. Yikes.